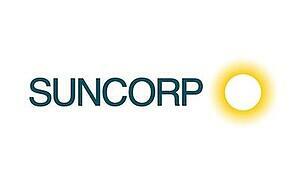 Suncorp Group Limited employs over 13,400 people in Australia and New Zealand to provide financial services and solutions to nine million customers. To unite the thousands of employees spread across a large portfolio of services and located in 250 different offices and branches, Suncorp created a simple but powerful recognition and recognition program designed to keep their new “One Suncorp” business model and company values front of mind, and to link everyday achievements to its mission and purpose. With a new vision and business model to communicate to their large organisation, Suncorp recognised the importance of looking at what behaviours and values were being recognised and rewarded across the business. Each of Suncorp’s 11 business units were running bespoke reward and recognition programs and, while tailored to their needs, didn’t reflect the new “One Suncorp” business model and newly launched behaviours. “There was quite a bit of inconsistency of what was being recognised, and how different behaviours were being rewarded,” Torsten Becht, Suncorp’s Executive Manager - Benefits, says. Torsten knew that to properly communicate and embed the company purpose, mission and values, he needed to engage buy-in across the business and take them on a change journey. Suncorp’s change journey had two distinct elements. The first was identifying people within the business who would play a role in the project’s success, so they created a steering committee that was key to driving change. The second was selecting a provider who could work with Suncorp as its change journey progressed and business needs evolved. Reward Gateway was chosen because it was adaptable and able to be personalised, and provided transparency and access to a wide range of dollar-for-dollar benefits and rewards in a single hub. This saved program administrators and employees both time and money and allowed Suncorp to position the rewards as critical parts of the organisation's Employee Value Proposition. Using feedback from the steering committee, Torsten worked with Reward Gateway to develop a single recognition program for the entire business. Suncorp launched its company-wide recognition program, Shine, in 2016 with a uniquely simple recognition and reward framework. Employees now have a single eCard that they can send to recognise anyone at any time, and can also nominate each other for quarterly or annual awards which go through an approval process and are awarded in Suncorp’s different business functions.